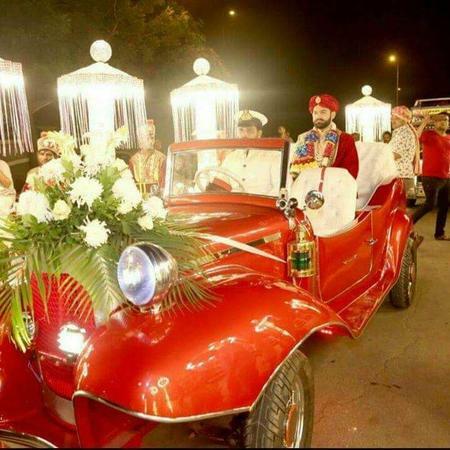 Om Entertainment is a Mumbai based wedding entertainment company, who specializes in providing all kinds of musical and band-baja-baraat entertainment. Be it a sangeet function, engagement ceremony or a reception night, this is one group who with their talent and charm, will light up the entire wedding function. Your wedding day will have a musical destination with Om entertainment. Om Entertainment is a anchor based out of Mumbai . Om Entertainment 's telephone number is 76-66-77-88-99, address is Andheri, Maharashtra 400047, India. Om Entertainment is mainly known for Sangeet, Wedding Reception and All Social Events .. In terms of pricing Om Entertainment offers various packages starting at Rs 10000/-. There are 0 albums here at Weddingz -- suggest you have a look. Call weddingz.in to book Om Entertainment at guaranteed prices and with peace of mind.